You’ve heard that good things come to those who wait. That’s certainly the case with Sculptra Aesthetic. 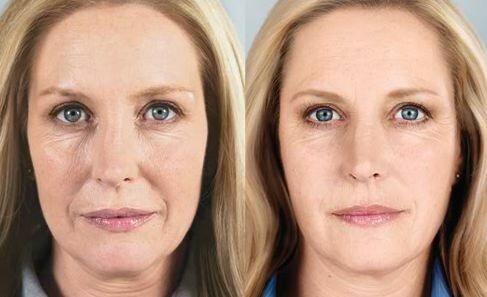 This unique filler actually stimulates natural collagen production at the same time it restores volume to facial tissues, smoothing wrinkles for a more youthful appearance that lasts for years. Sculptra Aesthetic is an FDA approved injectable product designed to remedy the loss of volume that occurs in the face of an aging person. With precise injections into sunken areas and folds, Sculptra can stimulate collagen and restore the ‘full’ appearance of a youthful face. Sculptra is made of poly –L-lactic acid, a biocompatible, biodegradable synthetic material that doesn’t require a skin test; it has been used in medical products like implants and stitches. What areas can Sculptra treat? It takes at least one year for Sculptra to be broken down by the body. The results however, may last longer (possibly 2-3 years) since Sculptra stimulates collagen near the injection site. Unlike other wrinkle fillers, the results from Sculptra appear gradually and may last as long as 2 years. Some minor bruising and swelling can occur immediately after treatment. However, most patients return to their normal routine right away. Sculptra usually requires more than one treatment to get optimum results. Typically, patients will need 2 to 6 treatments, scheduled 1 to 2 months apart for best results. Touchups are also recommended in some cases. No skin test is necessary. The drug is composed of biocompatible, biodegradable substances that are safely broken down by the body. If you are allergic to some chemical ingredient in Sculptra, you should notify us. Can Sculptra be used to augment lips? Sculptra should not be used in the lips. There are other fillers that are better suited for lip augmentation. When Sculptra was originally introduced in the United States, it was given FDA clearance for treating facial lipoatrophy. Facial fat loss, or lipoatrophy, is the loss of fat beneath the skin, which can result in sunken cheeks, indentations, and hollow eyes. Sculptra is a safe, synthetic, and biocompatible material that is injected below the surface of the skin in the area of fat loss. It provides a gradual and significant increase in skin thickness, improving the appearance of folds and sunken areas. No skin testing is required. As of July 2009, Sculptra has FDA clearance for cosmetic facial procedures that treat mild to severe nasolabial folds, wrinkles and contour irregularities. During the approval process, officials referenced a research study of 233 patients that had been treated with Sculptra and found the results to be generally long-lasting (visible up to 25 months in some patients) and effective, with no seriously adverse reactions cited. 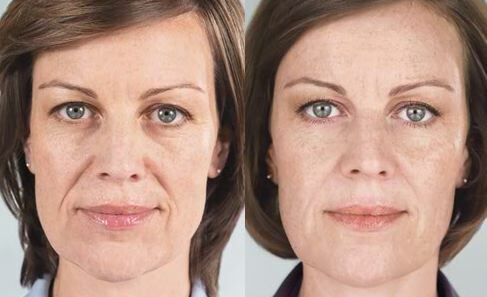 Sculptra is a unique filler that works gradually, with results that can last 2 years or more. Sculptra is becoming more popular; treatments performed increased 25.7% from 2012 to 2013.